I don't have or use much equipment for running either my business and blog; I tend to invest a lot in the equipment I consider to be super important and scrimp on the lesser, more unnecessary items. I will invest in cameras and computer but not so much in accessories like lenses and lighting. 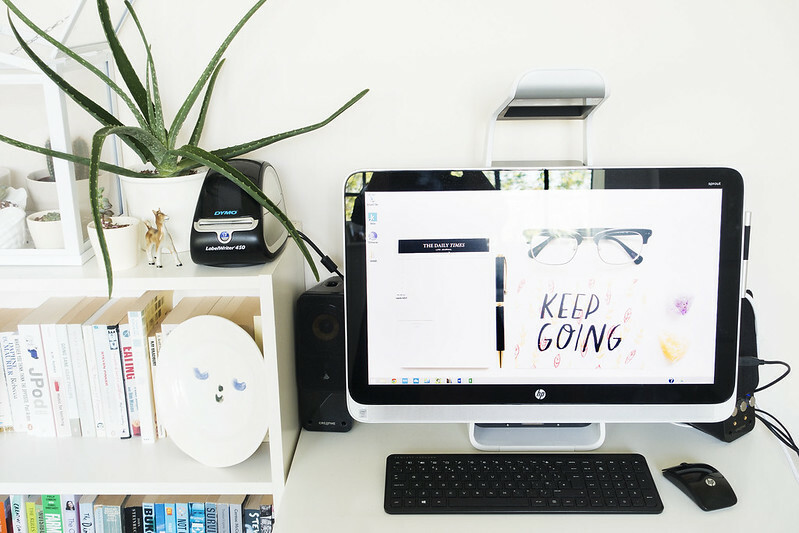 I recently replaced my custom built desktop PC (which was old and getting a little slow) with the HP Sprout* I do most of my work on a 13” MacBook Air and use the Sprout for business related tasks such as accounts and invoicing. I’ve found it’s easier to send, receive, and view invoices on a desktop. The Mac is super useful purely because of its portability. I take the Mac with me to the studio, which makes dealing with customer and wholesale orders a lot easier than when I was working from a single PC in the apartment and relying on my phone for data. But more importantly, it’s a lot easier to take work with me and keep an eye on the business when I go away. Previously I’ve relied on printing services such as Moo for marketing materials. Moo is fantastic but incredibly pricey when you’re printing thousands of items, as a cost saving measure I purchased a HP ENVY 5640 e-All-in-One Printer. The printer works via wifi and produces high-quality results. I’ve recently taken the shop through a brand refresh, which includes new promotional materials and I’ve been really impressed with the results this printer has produced. I bought a DYMO LabelWriter 450 pretty early on in the business and it felt like such a huge purchase at the time even though it was only around £100. Despite being such a small, seemingly irrelevant piece of equipment, it’s been super useful and despite occasionally chewing up a roll, it’s been a good piece of kit worth investing in. You can even brand your labels, which adds that little extra touch to customer orders. 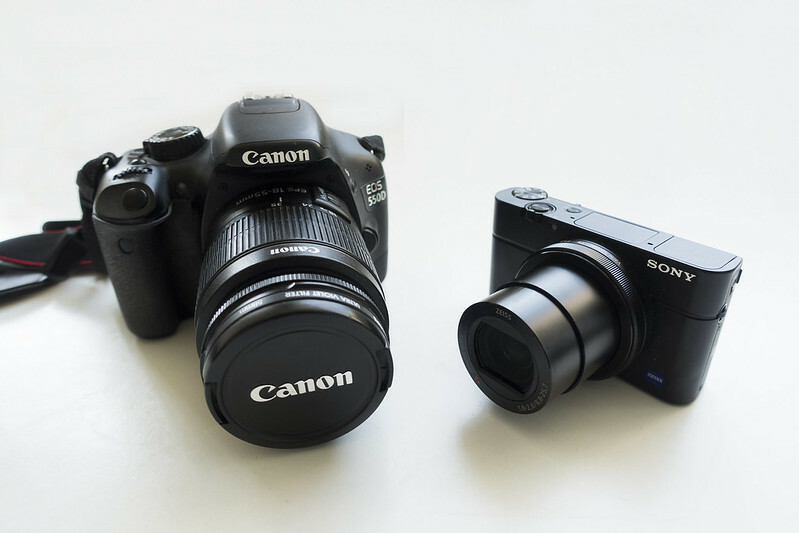 I would highly recommend the RX100 III especially if you’re looking for a premium compact that doesn’t compromise on quality of images and the video footage is amazing. It has a few awesome tricks too, like being able to wirelessly send photos to your phone via NFC. I only use a couple of camera extras: a Cobra tripod and a remote, both of which I don’t use all that much. I’ve never purchased any additional lenses for my 550d as I haven’t ever found it necessary. I do occasionally use a reflector - I either borrow one of Jack’s professional ones or use a big piece of white card. I’m often asked about my photography and I always say the most important part of photography is in the editing. I’m a hold-my-hands-up editing software elitist and I don’t think there is anything better than Adobe. I use Adobe Bridge to sort and organise my photographs and Adobe Photoshop CC to edit. There are a few free photography apps I highly recommend using too. Since I started vlogging, I’ve been using Adobe Premiere Pro CS6 to edit videos. I haven’t covered the “equipment” (calendars, apps, and stationery) I use for creative planning, as I've written about planning, blogging, and photography in previous posts from this series.